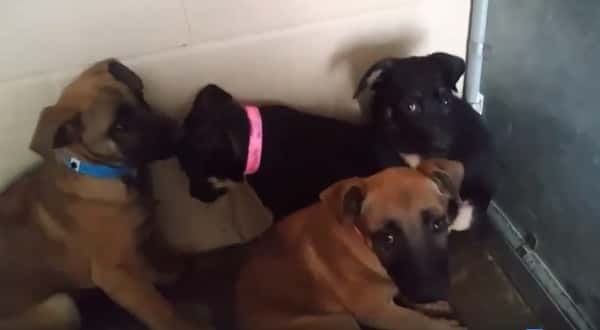 Five Shepherd Mix Puppies trembling in their kennel. Dozens are killed daily and at the first sign of illness, they will be the next to go. If inquiring about a specific dog, please include the animal ID. It is very difficult to see these dogs in peril, but the workers at this shelter are doing everything possible to cooperate with us within the constraints they are under. If the shelter (and the people that work there) are being targeted for negative comments, we will no longer be able to help. Please do not attack this shelter on this page, or on any of our posts. 2 Responses to "Five siblings shepherd puppies trembling in their kennel, they will be the next to pts"